The past year has brought us bountiful quantities of new gadgets, and not just in the smartphone space. Whether it’s the tech I use to do my job, to relax at the end of a busy day, or to capture special occasions and everyday moments, 2017 has been a year of many upgrades for me. So here, presented below for your perusal, are a few of my favorite tech-related things for 2017. Cast your eyes on the high-quality toys below. The Pixel 2 XL has one or two screen issues, and isn’t as pretty as Samsung’s current Android lineup. 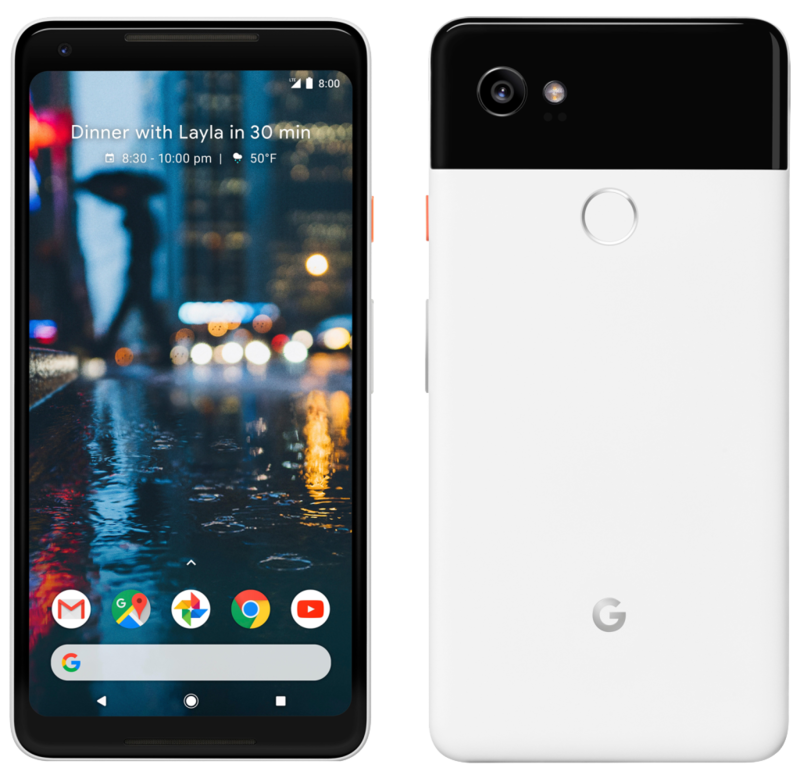 But ultimately I don’t care — for me, the Pixel 2 XL is the best Android phone you can buy right now. The larger of the two 2017 Pixels gets the basics right, and delivers the best software experience on any Android phone, and a world-beating camera to boot. (Seriously. This phone has ruined pretty much every other smartphone camera for me.) Software and imaging are two areas that are really hard to excel at, and major reasons why the Pixel 2 XL should be your next phone. It’s expensive for sure, but with Google’s promise of swift software updates for three years, the 2 XL should have a long life ahead of it. OK, so this one is a big purchase, but Panasonic’s GH5 has probably been the most important addition to my tech loadout in 2017. Almost everything you’ll see on the Android Central YouTube channel since August was shot on the GH5. It’s a camera which can caputre phenomenal footage (with the right lens, of course), backed up by software features that feel in step with the way professional and semi-professional users want to shoot. In particular, Panasonic’s (slightly clunky but still great) mobile app has been indispensible to me, offering an easy way to control most functions to the camera remotely via my phone. Like everything with Google Assistant built in, Google Home is going to get better with time, and many of the early teething problems with Home have now been worked out. Google Home Mini is great for cheaply building out a network of speakers, but the original, big Google Home is the one to get if you want superior sound quality at a non-outrageous price. Sometimes you want a slim portable battery that you can carry around in a jeans pocket. Other times you just want all of the power, and RAVPower’s 26,800mAh portable cell fits the bill for multiple phone refills, and even a full refill of a USB-C-enabled laptop. If you’re going to be traveling, and don’t want to worry about constantly refilling a portable battery as well as all your various gadgets, this battery is worth a look. It has three ouputs, and it’ll charge devices over the USB Power Delivery standard, with a total combined output of 5.5A. That’s a lot of juice. Having managed almost five years without a laptop upgrade, this year I made the jump from an aging 2012 MacBook Air to a Razer Blade — mainly for video editing reasons. The Blade packs a ton of power (with the expected battery sacrifices, of course), and the included NVIDIA GTX 1060 GPU makes the blade just as great at video editing and other visually intensive work as it is at gaming. With Android Wear continuing to stagnate in 2017, it’s been really hard to track down a decent, good-looking, non-gigantic, Android-compatible smartwatch — at least until Samsung recently launched the Gear Sport. The company’s latest wearable is a sort of follow-up to 2015’s Gear S2, with a smaller form factor, improved water resistance specs, faster software and improved battery life. The sleek design and easily interchangeable straps mean the Gear Sport doesn’t look out of place alongside a tracksuit or smarter attire. And in the grander scheme of watch prices, you’re not shelling out a whole lot of cash . Could you create the next hit iPhone game?